With a month to go before Israel’s elections, Benjamin Netanyahu’s decision to merge his Likud party list with Avigdor Liberman’s Yisrael Beytenu is looking wiser by the day — because the Jewish Home party, once a marginal player to the Likud’s right, is getting stronger by the day. It was always clear that Liberman had much to gain from the merger with Netanyahu: His position as No. 2 on the joint list marked him as heir apparent, smoothing the path to his long-term goal of becoming prime minister. Now that he is about to be indicted, the alliance means Yisrael Beytenu will not be facing the electorate alone with a lame-duck leader who can’t be a minister for a while, but rather is contentedly subsumed in a partnership with its Likud big brother. But it was not always obvious why Netanyahu had opted for the merged list, since bringing the purportedly pork-eating Russians of Yisrael Beytenu into the fold alienated some of the Likud’s traditional religious voters, and Liberman’s elevation infuriated the numerous senior Likud ministers who like to think of themselves as prime ministers in waiting. This week’s polls, though, underline why Netanyahu agreed to the deal. The joint Likud-Beytenu list is now seen getting only about 36 seats — down six from the 42 seats the two parties held (Likud 27; Yisrael Beytenu 15) in the outgoing Knesset, and a far cry from the ballyhooed talk of 45-50 seats they once anticipated winning together in January. And where are all those lost votes going? 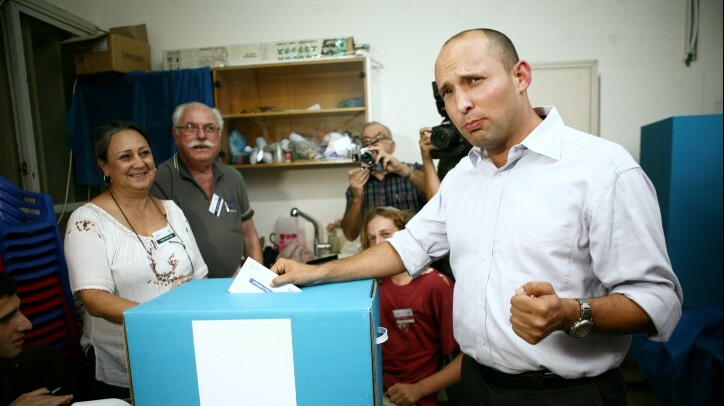 Not across the political spectrum to the center-left — a shift that would have threatened Netanyahu’s victory chances — but further to the right, to Naftali Bennett’s resurgent Jewish Home. On Wednesday and Thursday, Channel 2 and Israel Radio published polls showing the Jewish Home heading for 12 and 11 seats respectively — a dramatic rise by Israeli political standards. In the outgoing parliament, the Jewish Home held just three seats. It has since merged with the National Union, which held 4 seats in the last Knesset. But 11 or 12 seats from 7 is still quite a jump, and the momentum seems to be firmly with Bennett for a possible further rise in the weeks before polling day. Strikingly, the Channel 2 poll claimed that two-thirds of Jewish Home voters are aged 40 or under, and a significant proportion are under 30; this is now the young Israeli hardliners’ party, the refuge for those who mistrust both Palestinian professions of seeking peace and Netanyahu’s commitment to settlement. 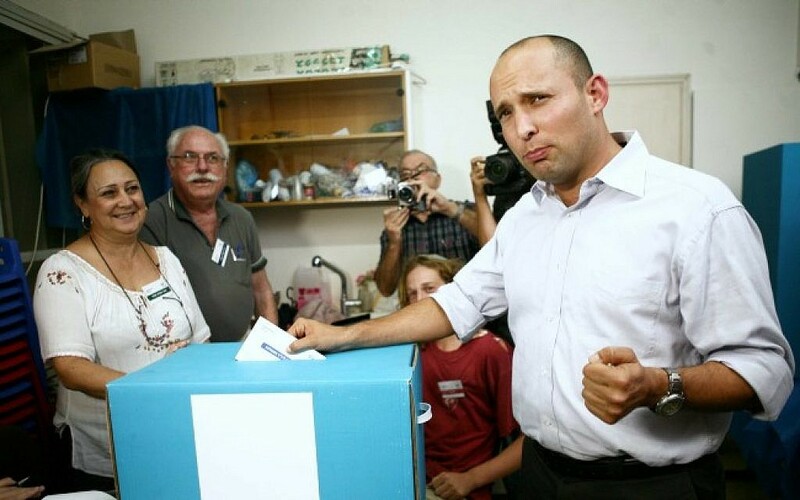 Bennett, the 40-year-old Haifa-born child of US immigrants who made a fortune selling his Internet security firm, only won the party leadership six weeks ago, but his impact has been striking. A graduate of the IDF’s most elite commando unit, Sayeret Matkal, Bennett worked for two years as chief of staff to Netanyahu (another former member of the unit), and is thus particularly well placed to identify and exploit the prime minister’s perceived weaknesses. In an interview with a Hebrew website on Wednesday, he charged that the policy of Netanyahu’s government on settlements and the Palestinians is “schizophrenic” — by which he apparently meant that the prime minister talks a lot about major expansion of building beyond the Green Line, while also insisting he wants to move forward with the Palestinians, positions that manage to annoy the international community, the Palestinians, the settlers and just about everybody else in between. For Bennett, the feisty political challenger who can afford to speak his mind without worrying — as Netanyahu must — about international fallout, there is no room or need for such attempts at finesse. His party is flatly committed to annexing Area C of the West Bank — the 60 percent of the territory where Israel still maintains full control — and never mind the consequent regional furor, international anger, Palestinian outrage, and likely rupture with Israel’s vital US ally. Bennett had no hesitation in declaring on Wednesday, “We should say out loud: There will be no Palestinian state.” Those are words Netanyahu simply can’t and won’t utter anymore, and they are sweet music to the ears of the right. Likud party members last month chose a strikingly hard-line Knesset slate. They put Danny Danon, the ultra-populist Miri Regev — derided in Hebrew media this week for a performance before high-school students in which she seemed to lose control not only of her rhetoric but also of her basic Hebrew — and Moshe Feiglin into their top 15. The Likud’s campaign slogan is apparently going to be “A strong prime minister; a strong Israel.” And Netanyahu and his ministers have been veering rhetorically right with gusto in the past few days — with a stream of new approvals for building in Jewish neighborhoods of East Jerusalem and promises to build in the E1 corridor between the capital and Ma’aleh Adumim. Minister Yisrael Katz was on Israel Radio Thursday afternoon calling Tzipi Livni an anti-Semite for ostensibly opposing expansion of the Ramat Shlomo ultra-Orthodox neighborhood in East Jerusalem — a critique to which Livni responded by noting she had refused to so much as discuss Jerusalem when she was foreign minister negotiating with the Palestinians four years ago. But for many on the Israeli right, the talk simply doesn’t work anymore. Netanyahu has a track record of doing less than promised to expand settlements — he even froze all building, under US pressure, for 10 months in 2009-2010 — and Bennett’s Jewish Home carries no such disappointing baggage. In the big picture, the trend isn’t yet destructive for Netanyahu. Votes are shifting around between Labor (17-19 seats in most polls), Livni’s Hatnua (about 9) and Yair Lapid’s Yesh Atid (7-11) on the center left, but Netanyahu’s right-wing/ultra-Orthodox coalition bloc is still heading for a healthy 65 or more seats in the 120-member Knesset. Yet if Netanyahu hadn’t allied with Liberman, the Likud might barely be the biggest party in the polls right now. And Netanyahu would really be feeling the heat. As it is, he must be increasingly worried by the threat posed by Bennett. And polling day is still a month away.